With the US and China slapping tariffs on each other and agreements like NAFTA being revised, free trade isn’t likely to emerge unscathed. Africa, however, is bucking the trend with its African Continental Free Trade Area (AfCFTA). Last month, forty-four African heads of state and government officials met in Rwanda, to sign the agreement, a long-standing ambition of the African Union. The AfCFTA will come into effect 30 days after ratification by at least half of those countries. Africa has been moving toward more regional integration for a while now, first by means of its Regional Economic Communities (RECs), and more recently through the Tripartite Free Trade Agreement (TFTA) grouping the SADC, EAC and COMESA blocks. Creating a single continental market for goods and services is a concrete step toward increasing intra-African trade which, as of now, merely plays a trifling role in the continent’s overall trade. However, the AfCFTA isn’t a panacea for all. Political tensions and lack of differentiated products hinder the intra-regional economic exchange. More importantly, inadequate infrastructure acts as the primary impediment to African trade inside and outside the continent. Source: Yepes, Pierce, and Foster (2008) and reproduced in Foster and Briceño-Garmendia (2009: 1-2). Note: Road density is measured in kilometres per 100 square kilometres of arable land; telephone density in lines per thousand population; generation capacity in megawatts per million population; electricity, water, and sanitation coverage in percentage of the population with access to services. Investment is primarily sourced through public finance, with transportation getting the lion’s share of GDP spending on infrastructure. In 2017, 66% of overall infrastructure public investments in Sub Saharan Africa were earmarked for roads. Spending on power and water supply and sanitation each accounted for 15% of total CapEx. A large share of financing is also shouldered by banks which isn’t ideal considering their mostly short-term liabilities. Because of their long-term investing prerogative, Sovereign Wealth Funds (SWFs) constitute a viable pool of funds to alleviate the existing financing gap. Examples of trailblazers with significant interest in infrastructure include Singapore’s Temasek and the United Arab Emirates’ Mubadala. The only caveat might be that such funds are more comfortable with brownfield investments, whereas Africa’s need lies in greenfield ones tied to construction and commissioning risks which the funds aren’t equipped to identify, manage, and hedge. Multilateral development banks are critical in leveraging their flexibility and expertise to pave the way for institutional investors such as SWFs. To attract funding at more favourable terms, Africa has been dabbling in less conventional financing tools. Institutional investors can get exposure to African infrastructure through local currency agency-backed debt instruments like the IFC kwacha-denominated “Zambezi” bondswhich get rid of currency risk for the borrower, or through commodity-linked bonds which allow countries that heavily depend on commodity exports to hedge their debt against the volatility of commodity markets. More traditional options like Mezzanine finance, municipal bonds and exchange-listed infrastructure project bonds are also of common use. Loans to Build Railways or Railways to Issue Loans? Internationally, China, India, and the Gulf states’ considerable financing support positions them as keys players in the African development scene, with China taking the lead. This comes as part of President Xi Jinping’s plans to revive the ancient Silk road, aka the “One Belt One Road” initiative. Following the $4bn Addis Ababa-Djibouti Railway, which became operative in 2016, the $3.8bn rail line between port city Mombasa and Kenya’s capital Nairobi, saw the light of day in May 2017. The plan is to extend the Mombasa-Nairobi line to the rest of Kenya, Tanzania, and to landlocked neighbours Uganda, Rwanda, Burundi, South Sudan and Ethiopia. 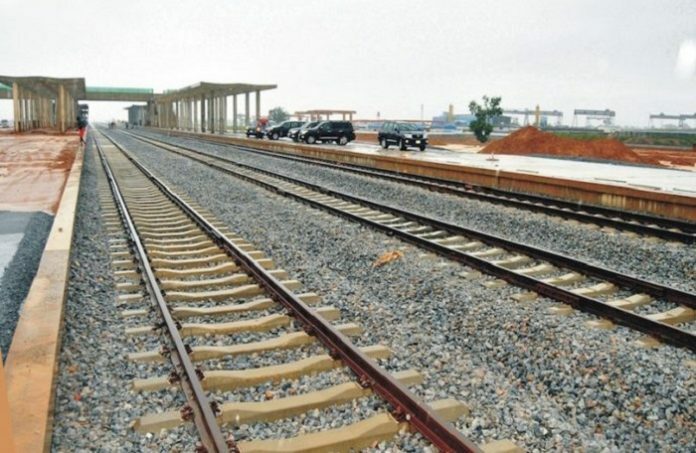 These two projects are reminiscent of the $500m Tanzania-Zambia railway that China built in the 1970s but showcase sharper Chinese business acumen. While the Tazara Railway benefited from zero-interest loans, the Mombasa-Nairobi line was funded 90% by concessional export credits and proprietary trading loans from the Exim Bank of China and 10% by the Kenyan government. In the case of the Addis-Djibouti line, 85% of the Ethiopia portion and 70% of the Djibouti portion were funded by commercial loans also from the Exim Bank of China. Aside from providing credit, China is benefiting from most of the financing going to Chinese contractors, hiring of Chinese employees and purchasing of Chinese equipment. This isn’t without controversy, as worries arise that the line’s contribution to GDP falls short of offsetting its cost and that the loans and the contracts end up acting as double-whammies for the local economy.